The original screenplay for Mickey B – printed from the original screenplay and supplied in bound A4 format. 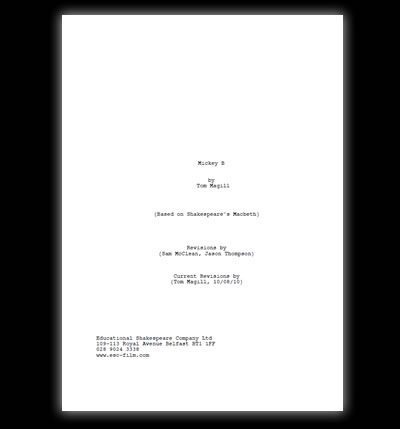 If you like Mickey B, you can now read the final shooting script! The 39-page screenplay includes the full text of the film. 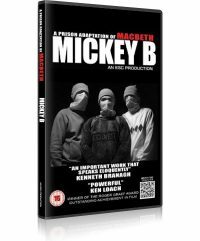 Written and adapted from Shakespeare’s Macbeth by Tom Magill, the script was then rewritten into prison slang by Sam McClean and Jason Thompson, giving it a unique edge and a real insight into Northern Irish prisons.